Another new series I'm going to try out... Brand Buzz. It'll be different than Beauty to Know because it won't just be beauty, and it won't be just "underrated brands". For example, today I'm talking about one of the most beloved beauty brands in the industry, Maybelline. Maybelline is a drugstore brand that I flock too. I don't know if it's the packaging, the name, the brand spokespeople, or the quality of the products but I definitely have more Maybelline than any other brand in my makeup collection. I'm not knocking the other drugstore brands, I just always get really lucky with Maybelline -- they always work the best for me. 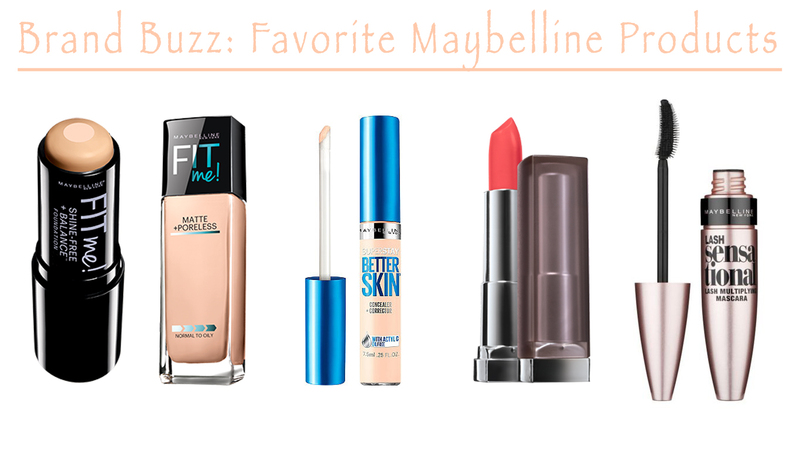 But like every brand, there are definitely hits and misses, which is why I thought I'd round up my favorites from Maybelline. FIT ME Matte & Poreless foundation: This is a foundation that came out last year and one of the first few foundations I fell in love with. It gets rave reviews on Youtube and rightfully so. It applies very smooth and leaves your face matte but not too matte. It gives the most flawless, beautiful finish and blends like a dream. It's everything you could want in a foundation and more. Whenever I'm going out at night, or to a function and I need my makeup to look perfect, this is my go-to foundation. Fit Me Stick Foundation: This is the first ever foundation I tried almost 4 years ago when it was first released. Stick foundations get a bad reputation but this one is great in my opinion. It has a hydrating core which is perfect for my dry skin. It applies really light weight and has a powder finish so it's not heavy in any way. It gives light coverage and I just apply it directly from the tube and blend with my fingers--it makes for easy and quick application. It's a no muss, no fuss foundation which is sometimes what I need. 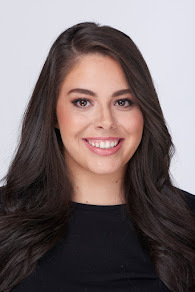 Better Skin Concealer: This is the newest concealer from Maybelline and I love a good concealer. This concealer, in my opinion, has more coverage than the Fit Me concealer and it blends like a dream, while also hiding my dark circles. It has a weightless finish and is just an all around good concealer for spots, dark spots, under eyes, and anything else! Lash Sensational Mascara: I can be kind of picky when it comes to mascara. I like my lashes to be separated and voluminous. I don't care too much about length because I have long lashes already. I like mascaras with very thick brushes -- skinny brushes do nothing for me. The Lash Sensational mascara has a curved wand that curls your lashes for you (similar to the wand of Benefit Rollerlash). It's a pretty wet formula but doesn't smudge (on me) and leaves my lashes looking exactly how I want them to look. Color Sensational Creamy Matte Lipsticks: This were released at the start of the matte lipstick trend and still stand true to be the most comfortable matte lipsticks around. There are so many shades to choose from and they glide on smoothly, no patches or rough areas. They aren't drying and they dry to the most beautiful matte formula. They aren't hard to maintain during the day and stay on for a decent amount of time. They're a go to for me.